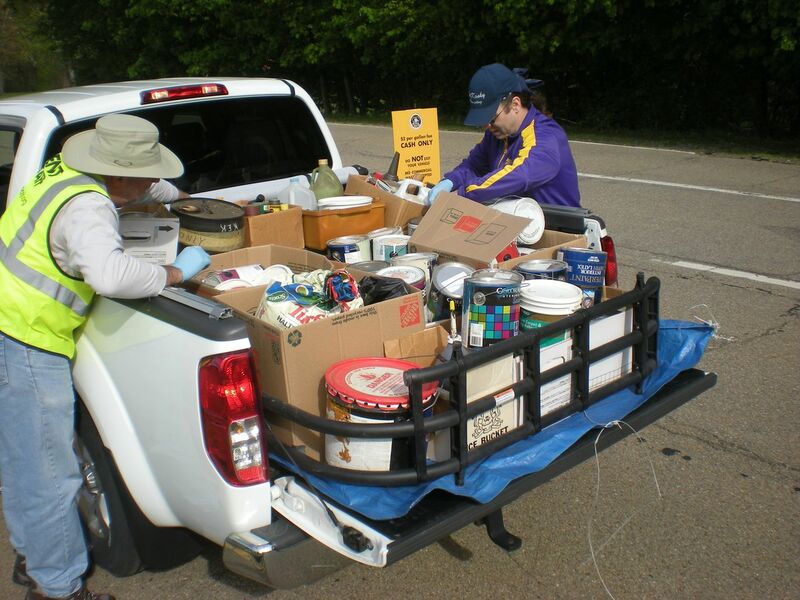 PRC West has hosted Household Chemical Collection Events in Western Pennsylvania since 2003 with the support of many partners and volunteers. These events have directly resulted in the safe management of nearly 5,000,000 lbs of household chemicals. 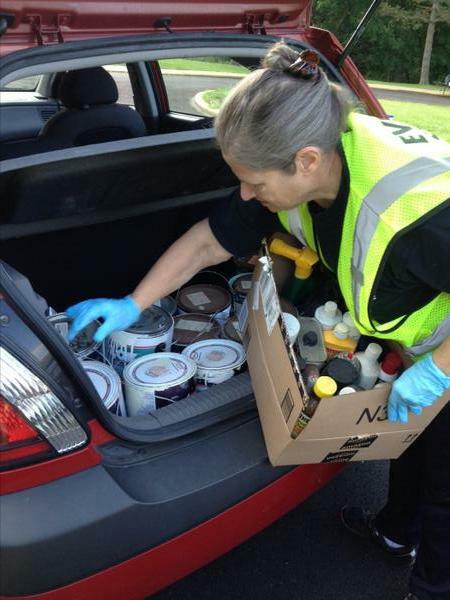 These events are restricted to household quantities of Household Chemicals. If you have materials generated by a business or other commercial source please contact us for assistance. Please note: Our 2019 events schedule in now available! See below or go to our events calendar. Event flyers will be available by mid-March. Call 412.488.7452 for more information. For events outside of Western Pennsylvania please contact your County Recycling Coordinator. Please Note: All Household Chemical Collection events are held on Saturdays, 9:00 am – 1:00 pm, rain or shine. Participant fee: $3.00 per gallon (a few exceptions apply), cash only. Call 412.488.7452 for more information. Disclaimer: All event dates and/or locations are subject to change; check back frequently for the most up-to-date list of PRC collections events, hours, fees, and list of acceptable materials. We realize that our program schedule will not meet everyone’s needs. We strive to make our events accessible to the greatest number of people in the region we serve. If you are unable to attend, for whatever reason, please consider approaching a friend, neighbor, or relative for assistance. What types of Household Chemical Waste do you accept at collection events? PRC accepts nearly every chemical product found in the bathroom, kitchen, basement, garage, garden shed, or workshop. These include: aerosol cans, automotive fluids (e.g., motor oil, transmission fluid, antifreeze, kerosene, brake fluid), batteries, camp fuel/small propane bottles, chemistry sets, compact fluorescent light bulbs (CFLs: bulbs only- we do not accept fluorescent tubes), gasoline and kerosene, household cleaners (ammonia, drain openers, acid cleaners, oven cleaners), mercury thermometers/liquid mercury, paint products (latex, oil based, alkyd based, arts/crafts chemicals, rust preservatives, creosote, water sealers, paint thinners, furniture strippers), pesticides/garden (rodent killers, insecticides, weed killers, mothballs, fertilizer), photo chemicals, pool chemicals, among others. Please note that we cannot accept any of these items in leaky containers! We also do not accept any type of commercial type waste. Tip: To avoid spills and damage to your vehicle, never put leaky containers into your car! If possible, transfer materials to a new container. Preserve the label and place in a zippered plastic bag to keep with replacement container. If you can’t transfer the material, you can isolate the leaky item by placing it in a zippered plastic bag, plastic bucket, etc.. If you have questions about specific products, please call the Household Chemical Collections hotline at (412) 488-7452. 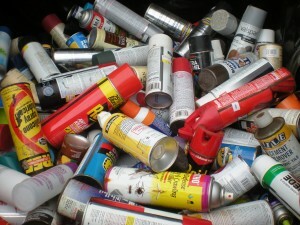 Ammunition, appliances, bulk waste, commercial and industrial waste, compressed gas cylinders (large grill/medical), explosives, flares , fluorescent tubes, leaking containers, medical waste (including needles and sharps), prescription or non-prescription drugs, PCBs and dioxins, radioactive materials, tires. How much does it cost to dispose of Household Chemical Waste? 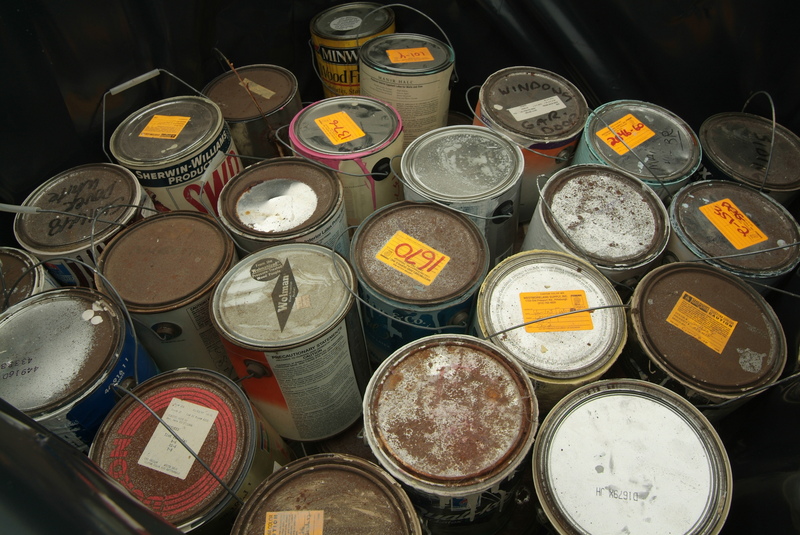 The price for disposal of Household Chemical Waste is $3.00 per gallon (a few exceptions apply), cash only. We do our best to fairly determine the volume of waste that you bring to our events, but this is by no means an exact science! PRC strives to keep the cost of these services as affordable as possible. Fees charges to event participants cover less than 25% of the programs cost. The remaining costs are supported by the State of PA, County Government sponsors, and through grants from charitable foundations and contributors. How Do I Manage Household Chemical Waste? The best method of managing Household Chemical Waste is to prevent its generation in the first place. This involves selecting the least toxic item “to do the job” and buying the minimum amounts necessary. Buying large quantities of a chemical product is not a bargain if half of it ultimately needs to be discarded. If the material is still usable (e.g., undamaged, still within designated shelf life), check with friends and neighbors to see if they can use it. You can also check with community groups such as Habitat for Humanity to see if they can use the product. Volunteers are an essential part of each and every one of our collection events! Volunteering is also a great way to make a positive impact on the environment of western PA! Perform tasks such as directing traffic, taking surveys, handing out educational materials, and much more. You will be engaged! NOTE: VOLUNTEERS DO NOT HANDLE CHEMICAL PRODUCTS OR UNLOAD VEHICLES! If you would like to volunteer at a Household Chemical Collection, please contact Michael Stepaniak at michaels@prc.org or call him at (412) 488-7452. 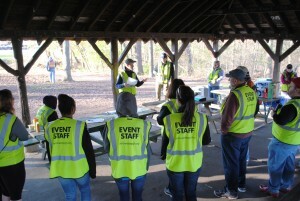 PRC realizes how important volunteers are! Without your help, we would not be able to offer Household Chemical Collection events to the residents of western Pennsylvania. We would like to sincerely thank all of our former volunteers for their participation, and hope that many of you will work with us in 2017! That warm fuzzy feeling that comes from helping a good cause! PRC’s Household Chemicals Collection program is a project of the Pennsylvania Resources Council (PRC), a registered 501 (c) (3) and the oldest grassroots non-profit environmental organization in the Commonwealth. For additional information, please e-mail Michael Stepaniak at michaels@prc.org or call him at (412) 488-7452. 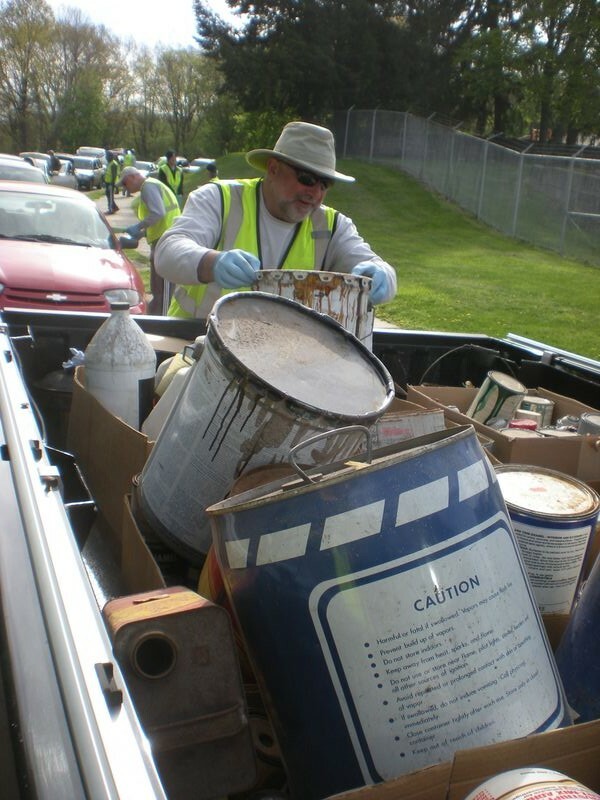 Residents of Delaware County have opportunities to safely dispose of and recycle their household chemicals at specific locations throughout the region. Get answers on where to responsibly recycle and dispose of your household chemicals locally.